Thank you to all those who attended the last Francisco Park community meeting on Saturday, February 10th. This was our 5th community meeting since we began our formal outreach in September 2016, and we were pleased to share the final conceptual design prior to our Recreation & Park Commission hearings. 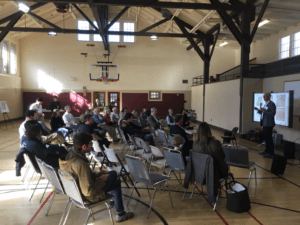 Read on for a recap of the meeting and to see photos and presentation materials. We were delighted to welcome the newly appointed District 2 Supervisor, Catherine Stefani, who introduced the meeting. 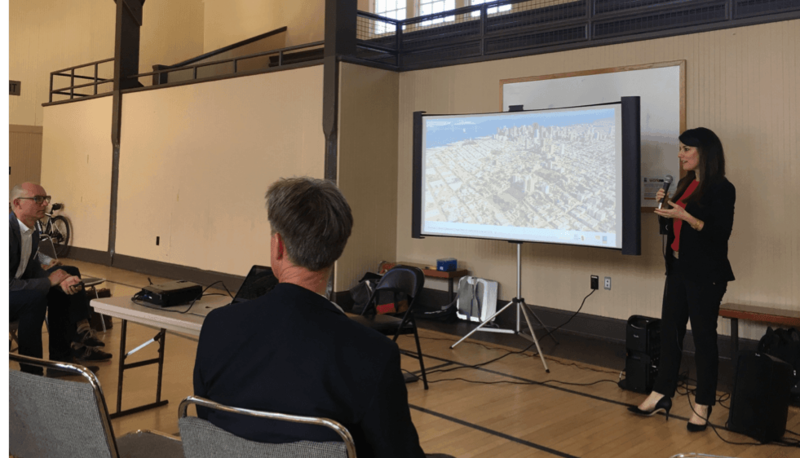 Supervisor Stefani was involved in the park during her years as a legislative aide to Michaela Alioto-Pier and Mark Farrell, and remains a strong supporter of the future Francisco Park. Supervisor Stefani, who has two young children, highlighted the need for more open spaces throughout San Francisco. 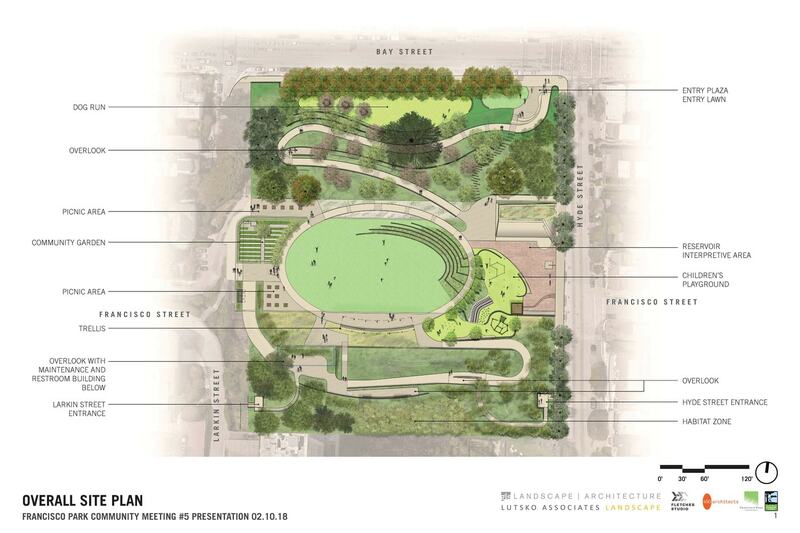 Following introductions, the Francisco Park Conservancy design team presented the latest site plan, shown below. 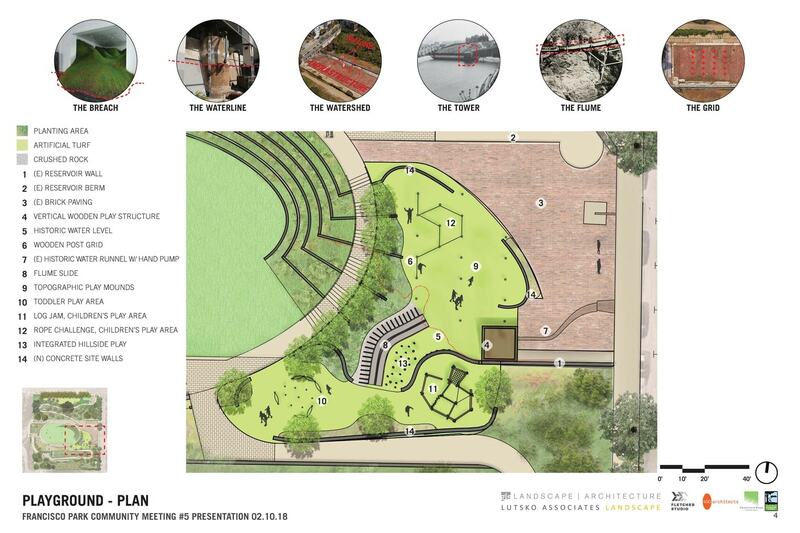 The site plan has evolved significantly since it was first presented to the public over 10 years ago, thanks to significant feedback from many of you. 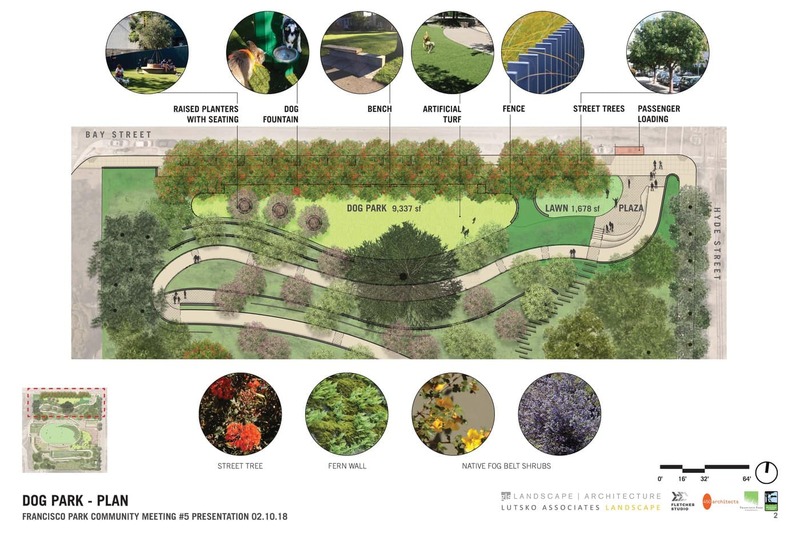 From an expanded dog play area to a large community garden to an interactive children’s playground, the proposed Francisco Park reflects the diverse needs of the community. 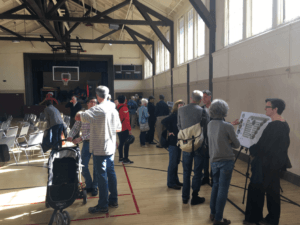 After the design team presented the details of the playground, community garden, and dog play area, attendees had a chance to see the plans up-close and ask questions to the design experts. The following image boards were presented to the public (click the images to enlarge). 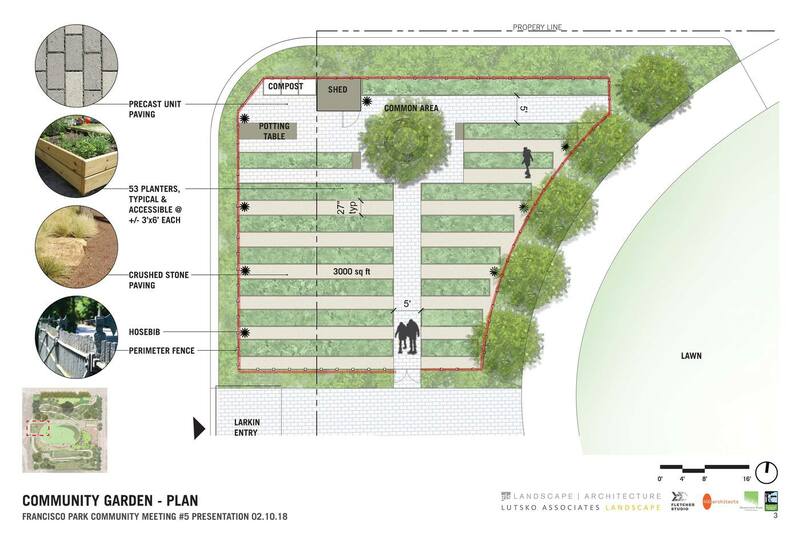 We are grateful that so many community members have remained engaged and interested in the future Francisco Park. The next step in the process will require our supporters to speak in favor of the park plans at the Recreation & Park Commission hearing’s which are always open and welcome to the public. Wed., March 7, 2018, 2PM, Room 416, City Hall. Thur., March 15, 2018, 10AM, Room 416, City Hall. If you would like to get involved, please contact us at info@franciscopark.org. As always, if you have questions or comments please send an email to: info@franciscopark.org or SF Recreation and Park Project Manager, Anne Baskerville: anne.baskerville@sfgov.org. For more information, please visit the project website at www.FranciscoPark.org.